The Summer 2018 issue of Quilts & More is on sale today and I'm thrilled to have a new quilt design featured! Below is a shot from the magazine of the quilt I named "Linked Logs". The finished size is 36" square. As you know from my last post, this is my favorite size for a baby quilt, but I also love this size for hanging on the wall or laying on my coffee table. 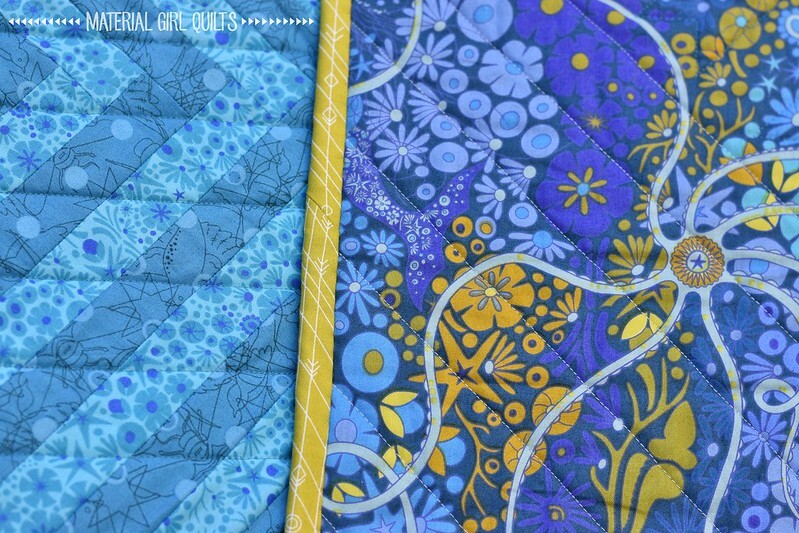 The fabric used in this quilt is from Alison Glass's Diving Board collection for Andover Fabrics. 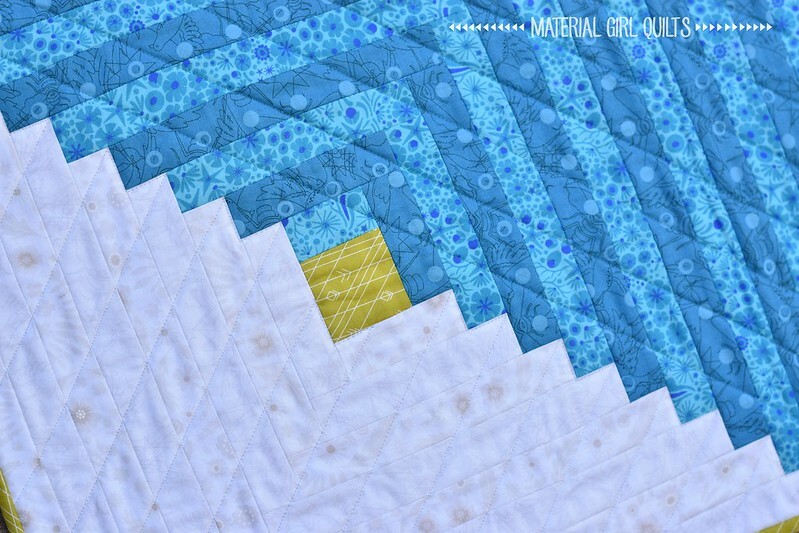 The chartreuse centers of the log cabin blocks are a great contrast to the deep turquoise. It also makes a fantastic pop of color on the binding. One of my favorite things about this quilt is the way the subtle prints in the low volume fabrics just add a bit of interest. I like them much better than a flat solid white fabric. 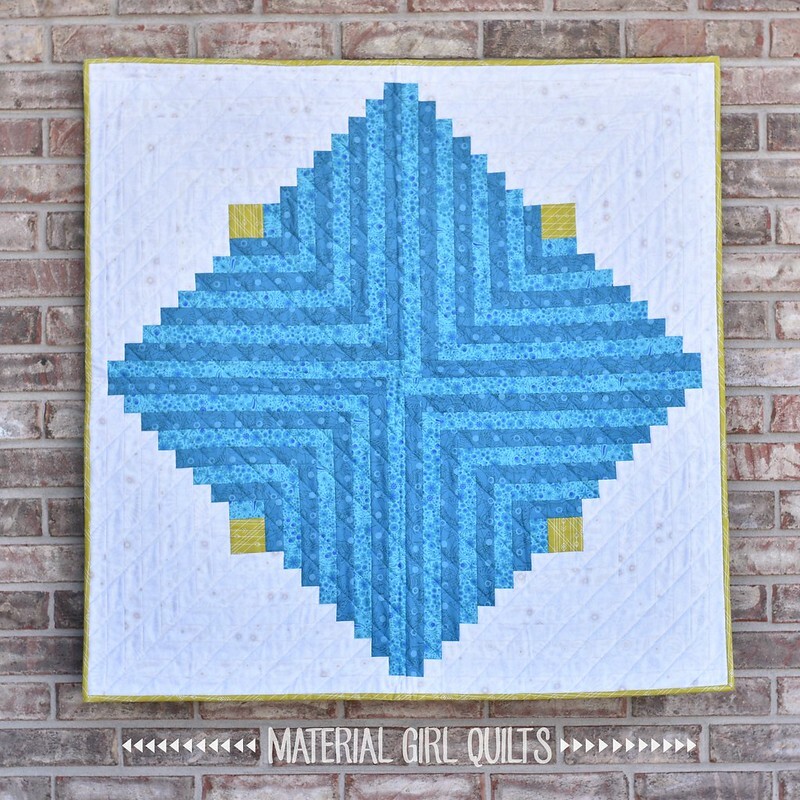 I quilted diagonal lines 1 1/2" apart in the turquoise diamond and then added perpendicular lines in the low volume corners. The quilt back has what is likely my favorite fabric ever. 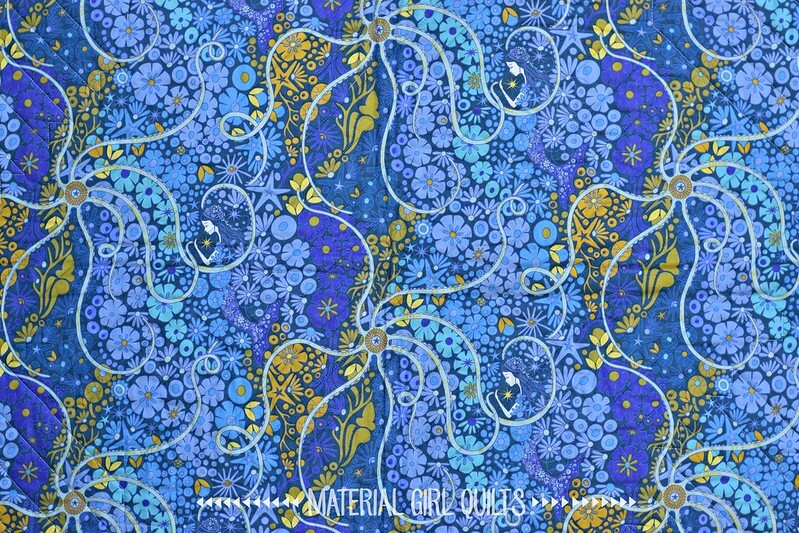 Check out that print named "Pearl" with the mermaids, octopus and sea life in the most beautiful shades of the ocean. I'm seriously in love with that fabric!